EOTD: Glitterry Copper Eye makeup ft NYX, Elf, Clinique and more! Today is going to be an EOTD post where I’m going to tell you the products I used to achieve this look. 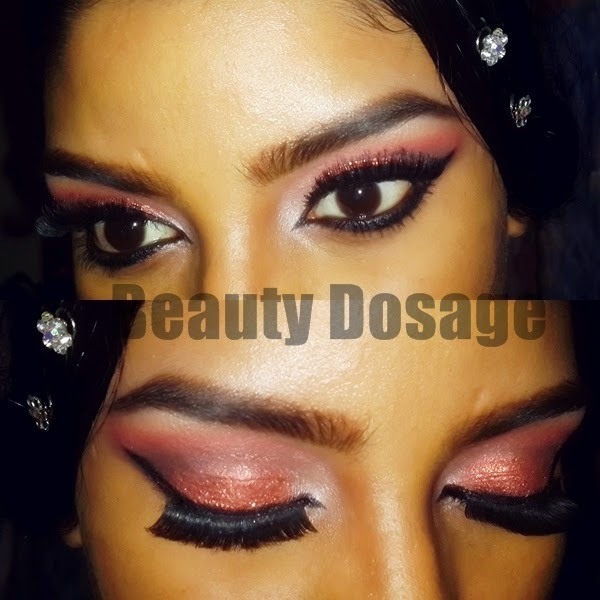 This is a dramatic Arabic look which includes earthy tones, glitter, exaggerated cat eye and lots of kohl! The glitters where part of what I reviewed from born pretty store. A matte warm brown for the crease from tmart. Warm earthy tones are great for those events where you want to rock a bold lip. This could also go perfect with a true peach lip like the wet n wild matte lip cover in ‘Just peachy’. More eotd’s to come!